We provide a builders clean service to builders who are doing Earthquake Repair work in our beautiful city of Christchurch and the Canterbury Region. Dirty Dozen Cleaning Service is an EQC Contractor accredited by Fletcher and all our cleaners have been inducted. We will come and clean the house from top to bottom , dusting down ledges, doors frames, wiping down the skirting boards with a clean damp cloth, sweep and wet mop the floor, clean the windows and vacuum your carpets. Dirty Dozen Cleaning Services clean construction and industrial sites including mobile onsite offices. We have been involved in some of the major construction projects in and around Christchurch that include Museums, Hospitals, Airplane Hangars, Apartments and Warehouses. We are a safety conscious company and we always have a Site Safe Building & Construction Passport holding Supervisor while we are on site. 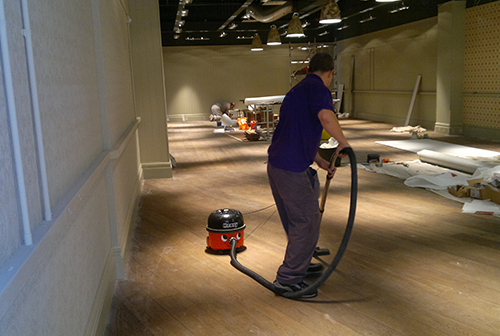 Our guys are fast and precise and we take pride in the level of service that we provide. References are available upon request.